Grandeur Hospitality Towels, these incredibly soft ring spun cotton towels are reliably durable with a two-ply construction adding the extra absorbency and fluff you expect. Maade from 100% cotton, Grandeur Hospitality Bath Towel is soft, durable and absorbent. 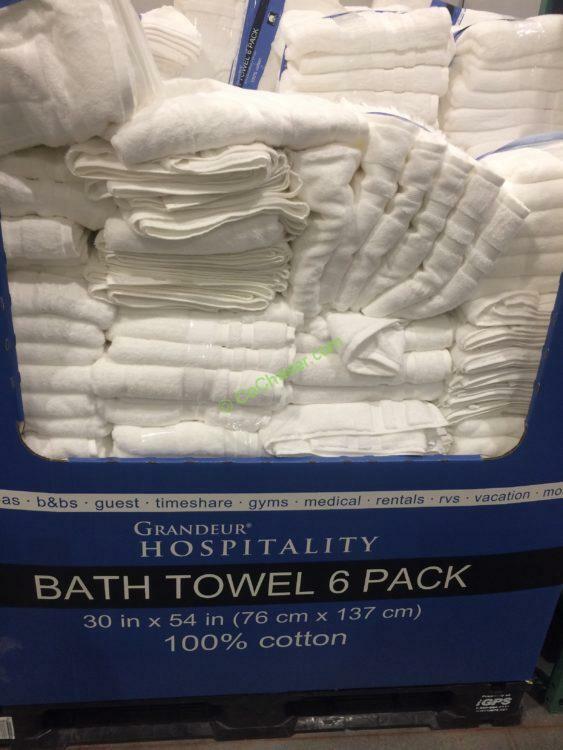 The pack contains 6 bath towels and each towel has size of 30 in x 54 in.